July 29, 1982: A group of young people, called "The Home of the Mother of the Youth" was founded in its female branch before St. Peter´s tomb in Rome, as a sign of fidelity to the pope. Six girls made their commitments in the Home. Among these six, three of them later became co-founders of the Servant Sisters. December 27, 1983: The Holy Year of the Redemption, in which the male branch of the Home of the Mother of the Youth was founded. It also began before St. Peter's tomb in the Vatican. Of the seven boys who entered the Home, Fr. Félix became a priest and co-founder of the Servant Priests and Brothers. February 20, 1984: The H.M. Magazine began, helping to make the Church and the Home better known. It is thanks to Our Blessed Mother that the H.M. magazine has helped so many people in these past years. September 22, 1984: Mother Ana, Sister Reme, and Sister Conchi were the first three to begin the Servant Sisters of the Home of the Mother. They began to privately live a new form of consecrated life after a pilgrimage where they visited several shrines throughout Europe. September 8, 1989: Mother Ana, Sister Reme, and Sister Conchi made their first private vows of chastity, poverty, and obedience for three years in Nazareth (Holy Land). The ceremony was presented by Fr. Jeremiah R. Pastrana, the Diocesan Delegate for Religious from the diocese of Santander, Spain. September 8, 1990: The Servant Priests and Brothers of the Home of the Mother were founded. Fr. Félix and Fr. Juan were the first to begin. 1991: Work began on the ¨Carmen Maria Home¨ in Barcenilla, Spain. December 11, 1993: In the Diocese of Cuenca, Spain, Fr. Félix López was the first priest of the Home of the Mother to be ordained. This first ordination was an immense grace for the entire Home. August 4, 1994: Elizabeth Van Keerbergen, affectionately known as Mamie, who was a friend of the Home, died in Santander, Spain. She offered up all of her acute suffering for priests and for the Home of the Mother. November 26, 1994: After long wait, the Servant Priests and Brothers were officially approved. The Most Reverend José Guerra Campos, the Bishop of Cuenca, approved the Servant Priests and Brothers as a Public Association of the Faithful (with religious in formation). St. Michael´s Monastery, built in the 17th century, was named as their headquarters in Priego, Cuenca, Spain. December 8, 1994: The Servant Sisters were also approved in 1994 in Cuenca, Spain, where they founded a community. October 28, 1995: The ordination of Fr. Juan Antonio Gomez. December 25, 1995: The "Lay Members of the Home of the Mother" was founded. 1996: A Community of Servant Sisters was founded in Belmonte, Cuenca, Spain. The Servant Sisters were asked to run of a house for poor or orphaned young girls called Immaculate Conception. They were also entrusted with helping in the parish´s pastoral work. 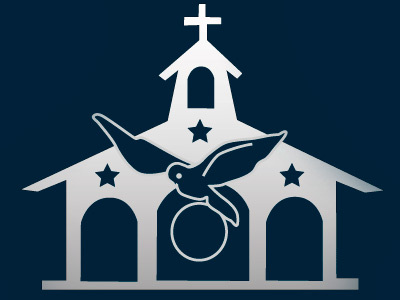 June 10, 2001: In response to Pope John Paul II´s call for Christians to make an impact in the Mass Media world in order to become more effective in the new evangelization, the Home of the Mother began a television station. Dedicated to the greater glory of God, it´s motto is: "Yeserday, today, and always: the truth." October 1, 2002: Rome, the heart of the Church, was the first house that the Servant Sisters of the Home of the Mother founded outside of Spain. They started off by studying Carmelite spirituality in the Teresianum in Rome. One of the Servant Sisters also began to work in the Church´s service at the Fides Agency, which is part of the Congregation for the Evangelization of Peoples. March 25, 2003: The Servant Sisters of the Home of the Mother founded their first home in the missions in 2003. They were sent to Chone, Ecuador, in response to a petition made by the Most Reverend José Mario Ruiz Navas, Archbishop of Portoviejo, Ecuador. December 14, 2003: On the feast day of St. John of the Cross (one of the patron saints of the Home of the Mother), H.M. Radio was broadcasted for the first time on a local frequency in Northern Spain. H.M. Radio is still going strong, spreading the Good News throughout the world. October 2006: Two new communities of Servant Sisters were founded: one in Jacksonville, FL., where they got underway at a local parish and school. The other community was founded in Playaprieta, Ecuador. The Archbishop there asked the Servant Sisters to take charge of a school with 300 students. November 2006: A community of Servant Priests and Brothers started their theology studies at the Pontifical University of the Holy Cross in Rome. October 2007: A community of Servant Sisters was founded in Alcalá de Guadaíra, Seville, Spain. They were placed in charge of the pastoral and spiritual care of Our Lady of the Eagle Sanctuary. They started helping out in the parish. September 13, 2009: A new community of Servant Sisters was founded in Lumezzane, Brescia, Italy. The parish priest at San Apolonio Parish, Fr. Tino Bergamaschi, asked the Servant Sisters to bring a community to the parish, more than all else, to be an example of consecrated life. October 1, 2009: Another new foundation of the Servant Sisters was established in Getafe, Madrid, Spain. Bishop Joaquín López de Andújar welcomed the Servant Sisters, asking them to assist at Our Lady of the Rosary and of Hope Parish in Móstoles, as well as collaborating in the various pastoral activities in the Diocese of Getafe. June 3, 2010 - The Home of the Mother of All Mankind, Mother of the Youth, received the Catholic Church's first official approval. In Rome, on June 21, his Eminence Cardinal Stanisław Ryłko, President of the Pontifical Council for the Laity, presented the Home of the Mother with the Decree of Approval as an International Public Association of the Faithful ad experimentum for five years. August 30, 2010 – The Servant Priests and Brothers founded in Urroz-Villa, Navarra, Spain. Some of the Servant Brothers in the community began to study at Navarra University. December 2010 – Both a community of Servant Priests and Brothers and of Servant Sisters were founded in Valencia, Spain. They were asked to help with the pastoral care in local hospitals. October 2, 2011 – The Most Reverend Carlos Osoro Sierra, Archbishop of Valencia, Spain, commended the Sts. Dionysius and Pancracius Parish to the Servant Priests and Brothers. October 22, 2011- A new community of Servant Sisters was founded in Brignano Gera d'Adda, Bergamo (Italy). The Sisters participate in the pastoral work in the parish. November 7, 2011 - The Servant Sisters found their third house in Ecuador, in Guayaquil, by request of Archbishop Antonio Arregui Yarza. Their apostolic work with revolve around the Parish of Our Lady of Loreto and the school "La Consolata." September 29, 2012 - The Servant Sisters open a new house in Macael, a town in the province of Almería, Spain. They will be doing apostolic work in the parish. October 21, 2012- The Servant Brothers of the Home of the Mother found a new house in Guayaquil, Ecuador. The Parish of Our Lady of Loreto is commended to them. December 18th, 2013 - The Congregation for Divine Worship and the Discipline of the Sacraments granted to the Home of the Mother (approved as a Public International Association of Faithful and whose second mission is the Defense of the Honor of our Mother, especially in the privilege of her Virginity) the great gift of being able to celebrate the Solemnity of Blessed Mary, Ever Virgin. July 2, 2014 - Celebration of the Solemnity of Blessed Mary, Ever Virgin, for the first time in the history of the Church, in Valencia (Spain). April 12, 2015 - The Servant Sisters of the Home of the Mother found a new house in Alcalá de Henares, Madrid, Spain. The community will participate in the diocesan pastoral work and in the mission delegation. September 2015 - The Servant Priests and Brothers of the Home of the Mother found a new house in Alcalá de Henares, Madrid, Spain, where they will be in charge of several parishes. April 16, 2016 - The first Servant Sisters die beneath the rubble of the community’s house at Holy Family Educational Center in Playa Prieta, Ecuador, due to the earthquake that shook the country that day. Among them was Sr. Clare Crockett, a sister with perpetual vows, and five candidates: Jazmina, Maria Augusta, Mayra, Valeria and Catalina. July 2016 – The Servant Priests and Brothers by request of Msgr. Lorenzo Voltolini, Archbishop of Portoviejo, found a community in Rio Chico, Manabí, Ecuador. There they will attend several parishes and will be the chaplains of the Holy Family Education Center run by the Servant Sisters in Playa Prieta. July 11, 2016 - After five years of the Approval ad experimentum, the Home of the Mother receives the Definitive Decree of Approval as an International Public Association of the Faithful from the Pontifical Council for the Laity. November 2016: We closed the community of Servant Sisters in Priego, Cuenca (Spain), after 22 years of service in the nursing home.